Culture Shock is Brain Shock from Ellie Baker on Vimeo. 'Do Migrants Ever Settle.?' 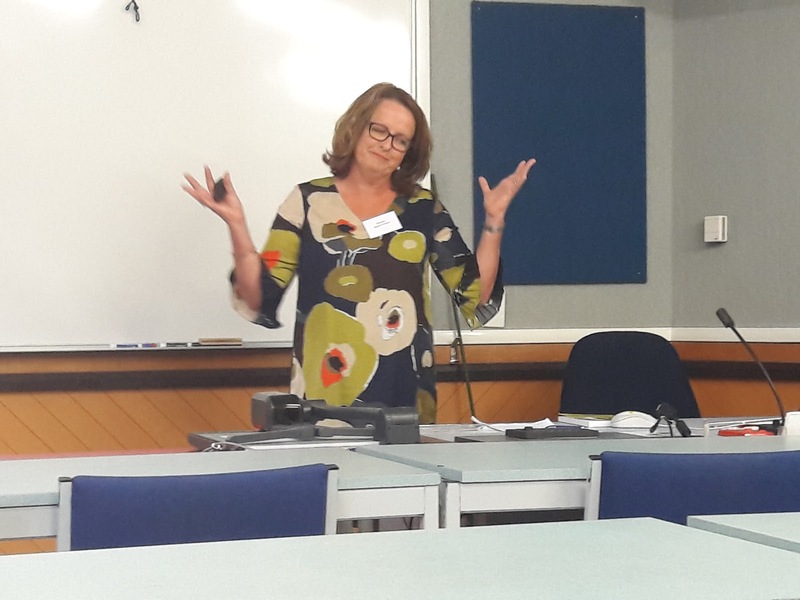 Ellie Baker talking at the Global Migrations Conference Otago University NZ Feb 2018. "Guest speaker Ellie Baker, wearing her many hats, certainly created a novel way of illustrating the stages of metamorphosis, experienced by immigrants as they adjust to their relationship with their 'new' homeland.....Her presentation resonated with all members, ....those who are recent immigrants and those with family overseas." Ellie came to Pukekohe Library last year to give a talk about her book to our customers. 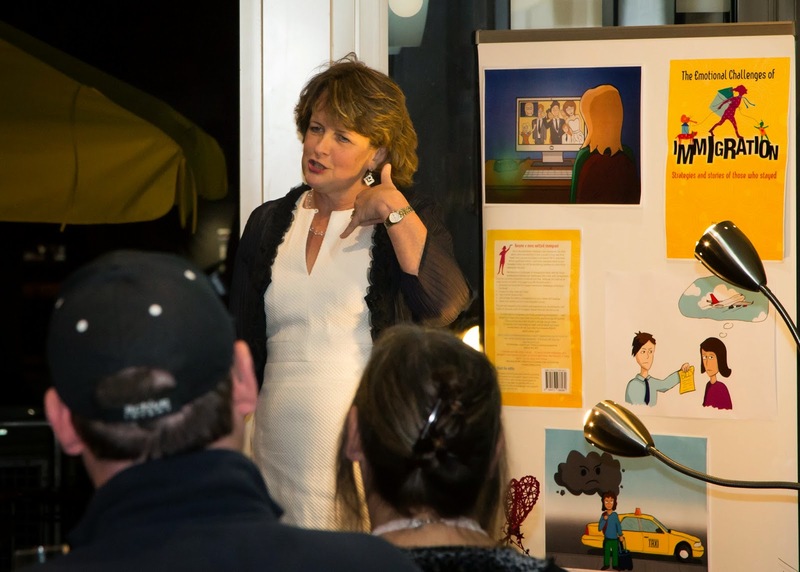 She was confident and organised with her speech and conveyed the ideas in her book in a concise and absorbing way. Many of the people that came to listen were immigrants themselves, and after her talk there was a long Q and A in which Ellie answered questions and discussed aspects of the challenges of immigration in more depth. She gave informed and thoughtful answers that clearly came from her own personal experience and insight. 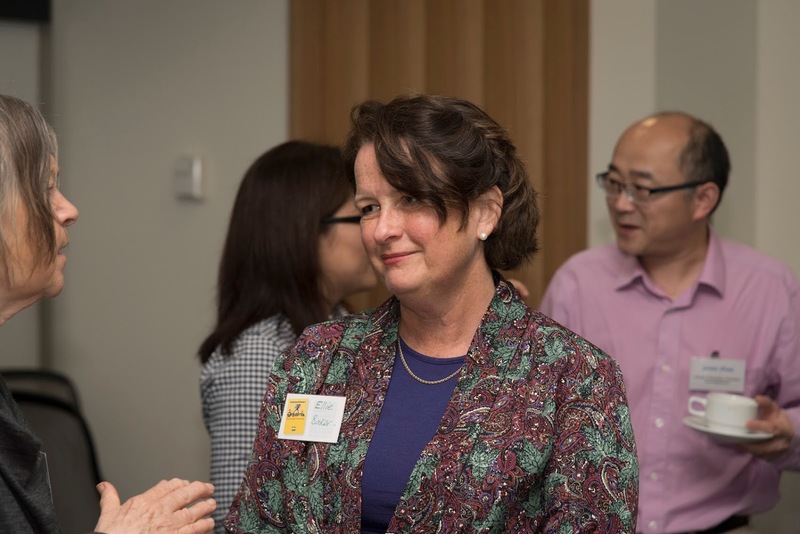 In March of this year we were fortunate to have Ellie Baker address our migrants group and speak about her experiences as a migrant in New Zealand. 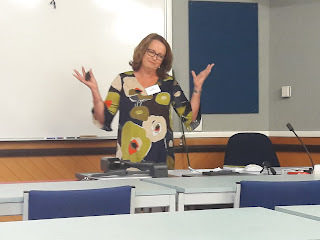 Ellie was very good at touching on the different aspects of migration that we all had experienced at one time or another in our journey to settle in New Zealand. Her clever way of describing the complicated emotional minefield of settling in a new country was a catalyst for many of us to fully experience in a group what we may all have been feeling privately. There were many laughs and many tears that evening but we all felt a closer bond as migrants and had more confidence in our own journey to feel a sense of belonging in our new home. I applaud Ellie in her bravery in sharing her personal experience in settling in New Zealand. We highly recommend her. Love her book! Thanks Gina, it was a great night.